It’s not true that your millennials are more likely to job hop than the generations they succeeded, but it is true they are likely already looking for their next career step. And that’s as true for millennials in senior and management positions, as for those in entry-level jobs. Deloitte, which surveyed thousands of millennials worldwide, says two-thirds of them expect to have a new job by 2020. If five years from now seems far-off for that prediction, consider that 25 percent plan on leaving their job in a year. 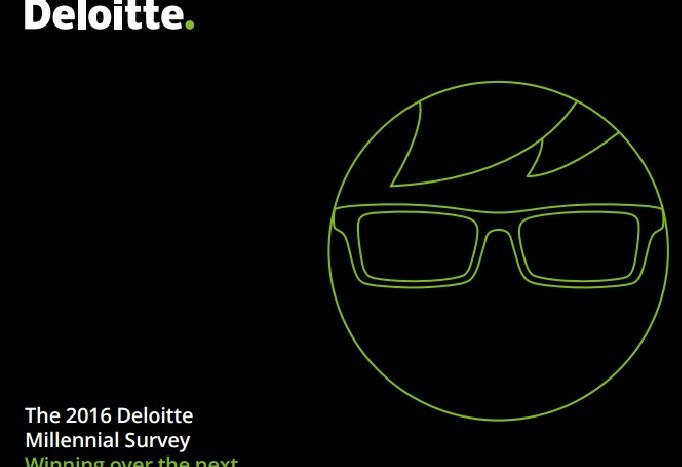 Deloitte’s 2016 Millennial Survey, its fifth, interviewed nearly 7,700 millennials, all of whom are employed full-time, have college or university degrees and work for large employers. Globally, 66 percent of the millennials expect to change jobs in the next five years. The U.S. is no different. Here, 64 percent plan to be gone by 2020. Similarly, 57 percent of millennials in senior positions around the world say they, too, will have a new job in 2020. Admittedly, plans and expectations are just that. It doesn’t mean the millennial down the hall who is senior team leader on an important company project will, in fact, leave this year. But it could. And in the U.S., where millennials now are the largest generational group in the workforce, history tells us they will leave. Take a look at the chart. 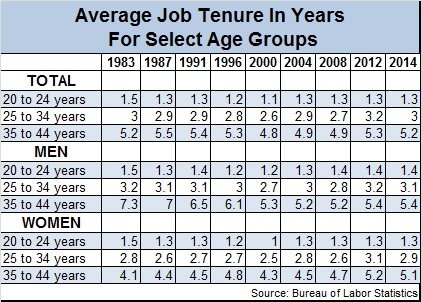 The average job tenure for workers aged 25-34, the demographic where most employed millennials fall, hasn’t changed in 30 years. Their average tenure is three years. Even among the youngest of millennials, those 20-24, the average time in their job is 1.3 years, the same as in 1987 and only slightly less than in 1983. 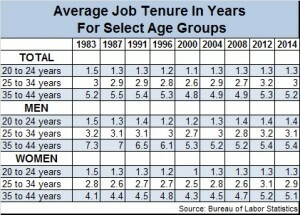 This is the age group most likely to be in their first, full-time position. The data from the U.S. Bureau of Labor Statistics bears out what the Deloitte survey found. The youngest millennials in your workforce, especially those who have been there a year, are most likely looking for a new job. So are those approaching three years. Keep in mind that the data represents an average — some will leave sooner, some will stay longer. Deloitte’s report offers a few suggestions for retaining your younger workers. “More than six in ten millennials say their ‘leadership skills are not being fully developed’,” notes the report. It’s an important reason behind those planning an early exit, which should cue companies to provide mentoring and training programs for promising young workers. “Of great significance in the current survey results is the finding that 71 percent of those likely to leave in the next two years are unhappy with how their leadership skills are being developed — fully 17 points higher than among those intending to stay beyond 2020,” says Deloitte. There’s also plenty of evidence they want a workplace that values employees, but also values customers, selling them high-quality products and services. In other words, the brand reputation and its social esteem are important to millennials. Don’t confuse that, though, with the “buzz” around a business. That ranks near the bottom of the 15 attributes Deloitte asked about.